Oskar Blues CD Release Party! 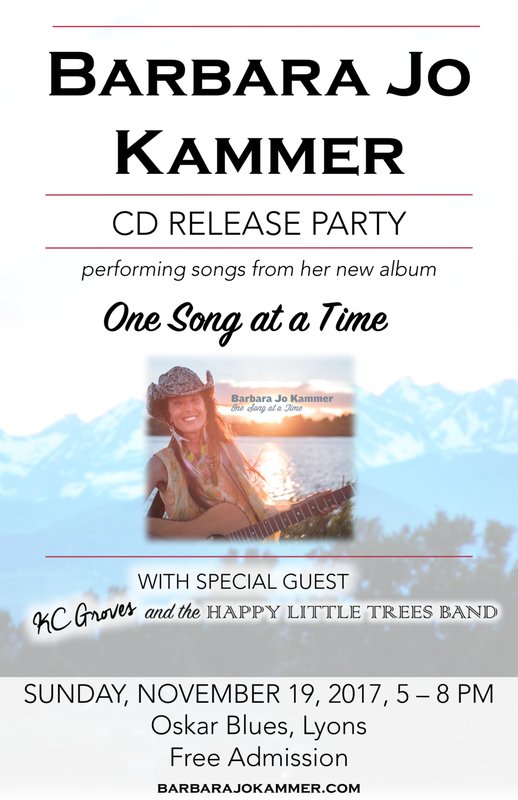 Barbara Jo will perform songs from her new album, One Song at a Time, with special guest KC Groves and the Happy Little Trees Band. Free admission. Come out and celebrate! Barbara Jo & The Hippie Buckaroos return to East Simpson Coffee Co.!